Why oh why are we always so hard on ourselves? Why do we tend to be in a constant cycle of evaluating our homeschool? We look for what’s going wrong, wonder where and how we can improve. Sometimes we focus only on an area our child might be struggling in. While it is important that we do evaluate our homeschool from time to time, I wish we wouldn’t dwell on looking for things to improve. What would happen to our mind, attitude, and overall household atmosphere if instead we focused on the moments of success? I think we should focus on those heartwarming moments that tell you you’re doing it right. I think it’s only natural for us to look for ways to improve our homeschool. After all, most of us are our own worse critic. The various homeschooling methods out there might have us second guessing ourselves. Maybe we wonder if we could be doing a better job. While there are certainly times when we do need to change course, I think overall we’re doing a great job! So friends, I challenge you to stop looking at Suzie’s homeschool down the street and comparing your methods or styles. 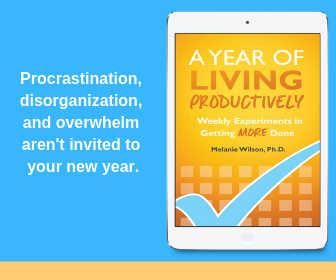 Stop feeling like you need to squeeze in every single project or experiment you find online into your day. Guess what, NOBODY is doing every single thing they have pinned to their Pinterest boards. So Let’s start looking for heartwarming moments through our days. Notice the moments that will inspire and encourage you to keep up the good fight. Focus on moments that will give you strength to make it through another day. We don’t get everything right, but we don’t get everything wrong either. Let’s stop believing the lie that we must get everything right. Stop comparing. Every homeschool is different, so everyone’s heartwarming moments will be different. I challenge you to keep an eye open for them. Too often we’re quick to only focus on things that didn’t go right. Start being intentional of looking for things that do go right and I’m sure you’ll start noticing them! You might even find it helpful to journal your heartwarming moments. They might be helpful to look back on during the difficult days. The following are a few examples of heartwarming moments in our homeschool. There is nothing more gratifying to a mom than seeing their child’s face light up with they’ve discovered something. Even if they’ve been observing a spider on the side of your house and they won’t let you kill it because it’s been working really hard on it’s web. Science experiments, problem solving, creating or building things all fit into this category. Field trips are also a great way to spark your child’s curiosity and excitement. When your child is excited about something they’ve just discovered, explored, or figured out they are excited about learning. Congratulations mama, you’ve just given your child the love of learning! If your child asks to study something that is outside your lesson plan, don’t go to the negative and automatically think they’re not enjoying the current study. Chances are something you discussed peeked their curiosity! Again, they WANT to learn, celebrate! If their request could be a short and sweet lesson, throw it into your day. If what they asked for requires a longer unit study, maybe suggest that’s what you’ll study next. Or, if what you’re currently studying has absolutely no enthusiasm from your child, consider dropping it and moving onto what they want to study. This happens a lot for us in history. This year alone Grasshopper has asked to study WWI, the Revolutionary War, the Civil war, Ancient Egypt, and most recently Ancient Rome. Now we haven’t studied all of these areas in our school day, but he has been learning in each of these areas. His inspiration for each of these subjects have come from books, listening to Adventures in Odyssey, and movies like Liberty Kids. He’s learned a lot without me squeezing it into our homeschool! Yup, another heartwarming moment. It took a long time to get Grasshopper interested in reading stories. He always enjoyed looking at non fiction picture books filled with animal or scientific fasts. He wasn’t really reading them though. In the early days of our homeschooling adventures he didn’t really like read aloud time either. This one was hard for me, but I was able to find a book series that really peeked his interests. Since then, he’s come to enjoy reading (or listening) to stories. It was a great heartwarming moment when he told me that he enjoys reading now. Personally, this is probably my biggest heartwarming moment as a homeschool mom. Grasshopper has dyslexia. While he learned his letters quickly and seemed on track in his preschool years, his reading struggles really started to show in kindergarten and first grade. I tried various approaches and theories during this time. I was hard on myself when Grasshopper wasn’t catching on with reading. He wasn’t diagnosed with dyslexia until early this year (second grade). Up until that point I struggled with comparing him to other kids. Seeing other kids his age reading without any problems was difficult for me. It made me feel like I wasn’t doing a good enough job homeschooling. This year we started using All About Reading because of it’s multi sensory approach. 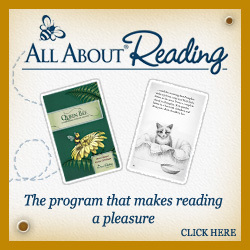 We started using this program before we received the dyslexia diagnosis. I didn’t know at the time the importance of using an Orton Gillingham approach was for dyslexic and struggling readers. I have been blown away by how quickly his reading stills have progressed this year. While he still needs to work on perfecting his reading skills, seeing him reading on his own is very heartwarming. This has done nothing but reassure me that homeschooling is the perfect fit for him. It is edifying to me seeing him overcome his struggles because it tells me that we made the right decision to homeschool. It’s so heartwarming to see him spending free time looking through books. He is even starting to tackle some beginner chapter books! This one is really fun to watch! I don’t know how many times Grasshopper’s pretend play has centered around different time periods we’ve studied. I’ve seen him pretend to be an archaeologist, pretend to use the Rosetta Stone to translate languages, and pretend to be Alvin York fighting in WWI. I don’t know if there is anything more heartwarming than seeing your child take what they’ve learned and incorporate it into their play time. It definitely warms this mom’s heart. It also shows me that he really is listening. These heartfelt moments let me know that in a day where it feels I’ve done nothing but fail, I’ve actually gotten a few things right. What are your heartfelt homeschooling moments? I would love to hear, comment below! Thank you Amy for sharing this with us. It was a joy to read. Thanks so much for linking up at #familyfriday we appreciate it! We hope you come back next week. Thanks Jen, I plan to!